The Sacred Heart Lower and Middle School campus includes Stevens Library, the first Net Zero Energy Certified library in the country. The Sacred Heart Lower and Middle School focuses on students grades first through eighth. The campus houses two classroom wings, an administrative wing, a multi-purpose building, and fine arts rooms. 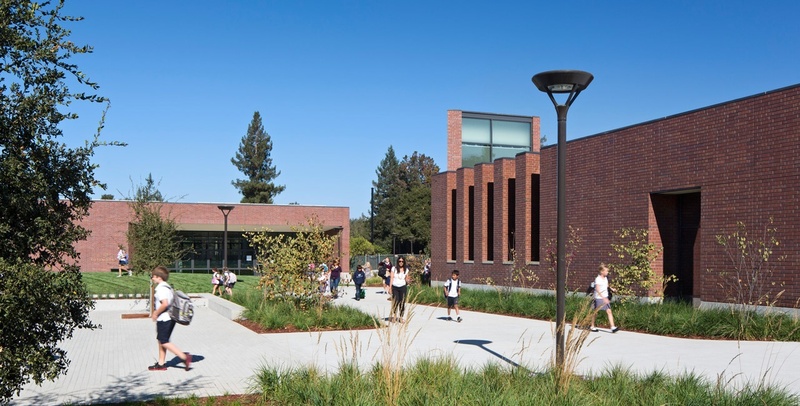 The school also includes Stevens Library, which used multiple energy conservation measures to achieve its recent Net Zero Energy certification through the International Living Future Institute.